Vertigo is a distinctly Australian text in its evocation of landscape and its representation of the ramifications of living in fire prone areas; however, its audience can be equally defined as universal because it comments on palpable loss and the desire for catharsis in response to loss. Students should reflect on the text from these two standpoints: the national lens and the universal human lens. It is important that when building the context we ensure that students are familiar with terms and ideas that are central to the text. This will allow students to invest in class discussions and respond to the text in a more meaningful manner. It is recommended that students keep a journal throughout the unit which will form the basis for reflection on activities and questions posed. 1. Vertigo: what does it mean? What does vertigo mean? Let students know that this text deals with vertigo in the metaphorical sense as opposed to the medical definition, which according to the Cambridge Dictionary is: a feeling of spinning around and being unable to balance, often caused by looking down from a height. Write synonyms on the board so that students can broaden their word associations when discussing this term and develop a more metaphorical idea of its significance. Ask students to come up with scenarios where a person may experience a sense of vertigo based on the definition and the synonyms. Have they ever experienced vertigo? When did this occur and how did they feel? Students can view different book covers of Vertigo and explore whether they represent any of the synonyms. How do the visual devices convey this thematic focus? Critically assess whether the book cover effectively engages the audience. Why do humans experience disorientation in a new landscape? What emotions and fears compound as people transition into new worlds? What does the wilderness mean to you? Do you value it? Explain. How do you interact with the non-human world? Explain how this way of thinking about vertigo expresses the conflict of the main characters of Luke and Anna in this novella. When they move from the city to a coastal settlement, they experience a sense of comfort in their surroundings before danger is posed. Their sense of disorientation also filters into the way they perceive each other; the idea of being a stranger to a loved one becomes the focus of the novella. Introduce the concept of the ‘sea changer’ (Definition: One who moves to a location in proximity to the ocean, for whom such a move is an extreme shift in one’s life.) which can be used to describe the two main characters, Luke and Anna. a) Students consider why people are drawn to experience new places. What might be the push and pull factors of a sea change? Discuss whether your responses in the table below are factual and/or whether they reveal your assumptions. Students read this blog-style article ‘Why a sea change is good for your soul’ and then respond to the following topics. Students could be asked to compose their own blog-style response, imagining a move from one contrasting place to another. Students consider who might desire a sea change and why. Are all city-dwellers the same? How could they be different? Students should approach the defining of ‘types’ in a critical way. Students research a place that they would consider moving to if they had the opportunity. They may adopt a persona who is older if they choose. Students can start with the following article, ‘Sea change, tree change or inner city living?’ that explores the advantages and pitfalls of certain places. What would this place need to look like or what would be its position? What facilities or other would be a necessity? Students are placed in a group of four and present their research. They must start with an assessment of what they value and how this place meets such values. Other students are allowed to critique these places in return and ask questions that may challenge the student’s place of choice. The class is given the topic: ‘It is better to live in the city than in a natural coastal town.’ The teacher writes YES on one side of the board and then NO on the other side. A middle ground is allowed in the centre. Students move to either side which represents their perspectives and will be called upon to justify their positions. As students explain their reasons, other students may move around the room to change their positions. After listening to the physical debate, students compose two paragraphs based on the evidence that has been argued, drawing a conclusion about the topic debated. a) What type of people are Luke and Anna? b) What conflict/s might arise in this text? The beauty and the terror (the sublime) of the Australian landscape is a common feature of Australian literature. Different landscapes instigate different reactions and promote different opportunities and/or challenges. Lohrey reflects on the time she lived in Tasmania when there was a recent bushfire. She makes the point that the reason there were no deaths in this particular case was because people could run to the water on the Tasmanian coast, whereas Victorians could not geographically respond in this manner during the Black Saturday bushfires there. This novel was written in 2009, the same year the Black Saturday Bushfires occurred in Victoria. Students may view the documentary of the Black Saturday Bushfires to develop their understanding of the event and the different eyewitness testimonies that capture the narrative and the reality. As they watch the video, they are to write down at least SIX words that need defining. The class compares the words they chose at the end, and a dictionary hunt ensues where students are each given words to research. These are then placed on the board and students try to recall where the word was mentioned and how it now makes sense. The composer uses a plethora of flora and fauna references which enhances the world-building of the narrative and adds a cultural element. In order to develop appreciation of the text, students research images of the flora and fauna (in particular the types of birds and trees) mentioned in the texts. This will form a visual glossary for them to refer to when they read and reread aspects of the text. This visual glossary can be pasted in their journals or on Google Classroom if ICT is used in your class. Explain how one of the most iconic Australian writers, Henry Lawson, used the idea of bushfires to represent the spirit and the values of those who inhabited the Australian landscape. Lohrey uses his work as intertextual underpinnings which she mentions at the end of the novella. Students are to fill in the following table adding textual evidence to the first two columns. The class then discusses their responses and are drawn to notice patterns in representation. How is landscape/nature represented through word choices? How do the characters respond to threat/s? Is the response collective or distinctive? What conclusions can we draw about the Australian experience based on interactions within and response to the landscape? Students can take one of the texts above (The Fire at Ross’s Farm by Lawson or the poem The Bushfire by Lawson) and compose a storyboard of the narrative. They must decide what quotes they will use (from the texts) in each box. The quotes should reflect aspects of the Australian experience and visually explore those qualities through visual devices in the storyboard. The genre of a text can give insight into the purpose of the composer who will choose the conventions of the particular genre to communicate the ideas intended. Students will need to be familiar with the codes and conventions of particular genres in order to deepen their understanding of the intertextual relationships that create meaning when rules are followed or appropriated. Lohrey refers to Vertigo as a pastoral which sets up certain expectations and may even challenge them through subverted elements. a perfect relationship between humankind and nature. Students are given 20 minutes to research Pastoral paintings (Australian, American or European) and respond to the class. They can start with Thomas Cole’s The Arcadian or Pastoral State and compare this with a Joseph Lycett painting. What are their initial impressions? What did they notice about the paintings? What values are pronounced in the paintings? Introduce students to the pastoral tropes of Arcadia and the Latin term Locus Amoenus meaning ‘Beautiful place’ in nature, often associated with images of the Garden of Eden. foregrounds the idealisation of rural life. According to Stephanie Forward the Romantics believed in the ideas outlined in the table below. Such ways of thinking can be seen in Vertigo particularly in the way Luke and Anna respond to the crisis of city living and through the representation of the boy. Romantic view How is this reflected in Vertigo? Explain your answer by using textual evidence. Emphasis on the importance of the individual; conviction that people should follow ideals rather than imposed conventions and rules. The Romantics highlighted the healing power of imagination because they truly believed that it could enable people to transcend their troubles and circumstances. Nature, like children, was assumed to be innocent and uncorrupted. Students write descriptively: What would your beautiful place look like? Students then complete the table comparing the city vs nature (PDF, 154KB) setting in Vertigo . For nature, they respond to the question and provide evidence: How does the description of the natural setting reflect and/or contrast with the traditional notion of the pastoral setting? For the city environment, they consider the question: How does the city shape individuals and their attitudes? Do you agree, based on your reading of Vertigo? The hero’s journey is a typical way of structuring a story of transformation where the individual has crossed the threshold and moved into a new world that will serve as a crucible for identity formation and relationships. The novella with its movement from the city to the coastal town and the ensuing transformation that takes place, can be mapped using the hero’s journey structure. Students add to the list of notes below on each section and then complete the notes for Chapter 3. Before moving to Chapter 3, each student compares notes with another student to see if any ideas have been missed that are essential to the growth of the characters along the journey. Establishes why the characters need the sea change. Reflects on their anxieties in the current city space. Introduces the sense of loss and grief at the periphery of their journey which serves as a catalyst for change. Characterises the society as materialistic and shallow; the difficulty of ‘Keeping up with the Joneses’. Shows how colonial mentality has not survived but nature has – which is superior. Shows an ignorance about nature – people need to be demystified and engage in nature. Anna and Luke meet a couple – Alan and Bette Watts – who reflect who they want to be. Luke and Anna contemplate their lives – talk inwardly to self or to others but not really to each other – repression of emotions. Drought continues – this is symbolic of the avoidance of emotion between the couple as well as symbolic of lack of fertility, putting family on hold, the barren images. The wind is also something they were not prepared for. 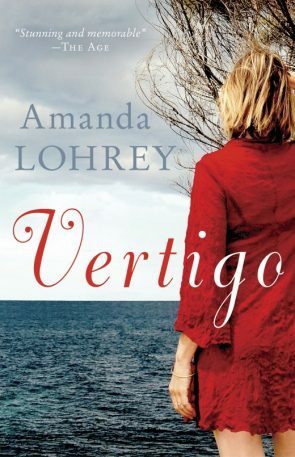 Boy is fading and Anna is becoming more disoriented – vertigo – because she is seeing her husband as a stranger. Snake is one form of danger and war another. Dissolution of the boy’s presence. The hero’s journey is a representation of humanity’s experience of loss and gain. Do you agree? Students peer edit another student’s work and are asked to comment on one aspect of the writing, e.g. cohesion, delivery of argument, transition of ideas, use of textual evidence. Characters are representative of the values and attitudes that the composer uses to raise the text from entertainment level to the political and social level. While Lohrey characterises individual and distinctive aspects, her characters also operate as collective and representative. A close study of characters shows how characters move from being individual to being representative of human experience and of political positions. It is essential that students start to identify any language techniques within the quotes that are positioning the reader to interpret the character in a particular way. After completing these profiles, students work in pairs to compile their notes in a conclusive manner. Students will use their notes to consider how ancillary characters are used as representative characterisation to draw out attitude, culture and place. Students explore this level of characterisation by completing the Representative Characters worksheet (PDF, 124KB), which considers three ancillary characters and their purpose in the text. How can Frederick Treves be considered an ancillary representative character? How can landscape be perceived as a character, particularly in this type of ‘pastoral’? How is this quote representative of the experiences of characters in Vertigo? Compose a short piece of writing (in any form) that uses this statement as a stimulus. Lohrey employs different layers of conflict to create a tightly constructed novella which delves into the diverse experiences of the characters across landscapes. Conflict draws out the anxieties of characters and can portray the expectations and challenges of confronting worlds – natural and man-made. In their struggles characters reveal themselves and their values: struggle becomes a transformative human experience which reveals individual strengths and weaknesses. Teachers can follow this discussion with the importance of conflict in narratives. They may ask the students to add a new conflict and plan out some of the consequences of including this new conflict. The students must use their interpretation of the character to extrapolate the consequences of their introduced conflict. View the short video on a man’s eyewitness account of an oncoming bushfire and compare it to the fire description in Lohrey’s text. How are they similar and/or different? Why might a writer be able to express the experience with greater vividness? Lohrey wanted to emulate Lawson’s economy and restraint but she obviously uses a style of her own which is poetic and descriptive. Using an omniscient narrator allows her to capture the interior voices of her characters, evident in the three dimensional characterisation of both Anna and Luke. Students are to complete the Language in Vertigo worksheet (PDF, 328KB), which covers the techniques mentioned above. There are embedded questions in the worksheet which will orient students to consider the function of language. Writers position audiences to understand and empathise through diverse language techniques. They may include other language techniques they identified individually that were not in the worksheet. Themes refers to the central or one of the main underlying ideas, concepts or messages of a text. A theme extends beyond a topic to include an attitude and/or value. When students start to formulate a thematic statement they are focusing on the implied and inferential information rather than on literal information, and drawing a conclusion about the cohesive elements of a text that seem to work together to produce a unified idea. Themes emerge from interpreting the text; characters’ actions and beliefs are often illustrative of attitudes and values, acting as evidence of the theme. Themes should be expressed as general abstractions. The idea of human suffering for example needs to be extended into a statement for us to understand it as a theme: Human suffering is inevitable and therefore central to human experience. Share the following examples with students and then ask them to come up with their own thematic statements based on a novel/film they have read/viewed. Alternatively, students may be given topics and told to formulate an assertion around this topic. Loss Loss can stimulate growth in unexpected ways. Loss can result in fragmentation and alienation. Relationships The strength of a relationship lies in the intentions and motivations of individuals. Relationships can reinforce conformity and stifle individuality. By this point, prior activities on the novel should have prepared students to start drawing conclusions about the thematic concerns of the novel. Patterns, motifs and the development of characters and their perspectives in Vertigo, form the basis of ideas that lead students to formulate a theme. Human suffering is inevitable and therefore central to human experience. The destructive capacity of humans is always on show, as is our potential. The desire for spiritual connection is inherent within us but expresses itself in different ways. Nature is both a restorative and provocative force. Fantasy is significant to the process of recovery. The tension between nature and the economy is always on the periphery of modern life. Transitioning into new environments is essential for metamorphosis. Resilience is a quality developed and not inherited as we experience obstacles. Community is essential to connectedness and resilience. The dichotomy of life and death define the human experience. In human experience, the domestic and the epic often appear in tandem. Place defines us or provides insight into who we aspire to be. Students take one of these themes and trace it through the text. Students choose how they would like to represent their note-taking and analysis. They are paired with a student who has chosen a different theme and together draw a conclusion about Lohrey’s overarching message about the human experience based on these two themes. Choose ONE of the characters and create a blog (at least four entries) which charts their experiences and reactions to the sea change. Include images and even videos to enhance the representation of the experience. For example, Anna researches how to design her garden and the blog could include videos to capture her learning progression and awareness of place. Consider how Lorraine Briggs’ photos function in the novella to enhance the content and consider how you might include visuals in a similar manner. a) Incorporate your interpretation of characterisation. b) Use conversational and formal language to retain a level of sophistication. c) Embed hyperlinks and videos that reflect the learning progression of the character. d) Be appealing for a young adult audience. Every text depends on and builds a relationship between the reader and writer. In this part of the teaching resource students will explore the reader/writer relationship. This relationship is also influenced by ways of reading that the reader brings to the text or learns to apply. Students will consider the text from an eco-critical perspective. A consideration of the perspective of the writer can enhance our awareness of why people write, how they approach their process and composition, and how writing is an organic and ongoing relationship with the world around us. Listen to the audio or read the transcript from The Book Show interview with Amanda Lohrey. This conversation reveals her motivations as a writer as well as the process she employs in her compositions. a) The writing process and the motivations of the writer. b) How personal experience influences what we write. c) How reading experience influences what we write. d) How visual elements enhance the written elements of a text. They create a list of tips for budding writers based on the notes they have taken. Additionally, they use their own writing experience to add to the list. Lohrey explains how the photos she included in the novella are ‘part of the spell’. What does she mean by this? Students find THREE photos that can replace Brigg’s photos in three parts of the novella. They must justify their reasons for the selection of photos at each particular plot point. Why might novellas be more attractive to modern audiences than novels? What genres might lend themselves better to novels or novellas? How can context and audience change or influence reading practices? View the following video from the Sydney Writer’s Festival where Lohrey explores the way that reading practices have changed and why the novella is a more attractive choice. Name of novella and writer Summary of the plot Why does this novella appeal to me? When we adopt an eco-critical perspective we are foregrounding a relationship to place, in particular that of the natural world. Writers who use this perspective tend to foreground the morality of humans in accordance with their response to the natural world. Does Lohrey focus on the modern pastoral because she wants to be a social activist and raise environmental consciousness or is she foregrounding the spiritual connection to place? Consider this from an eco-critical approach using the perspectives below from Thomas K. Dean and Nancy Cook, both papers found here. is a study of culture and cultural products (art works, writings, and scientific theories) that is in some way connected with the human relationship to the natural world…in an age of environmental destruction. Eco-criticism can be for individuals who choose to make it so, socially activist or spiritual. …how we place ourselves in the world and the biological, social and political ways in which we define where we are. How is exploitation represented in Vertigo? Why do these attitudes exist? Students are to compose a speech that will be presented during the Sydney Writers’ Festival. The speech will persuade audiences that novellas are the preferred texts of our time.They are to use Vertigo as an example of a strong modern novella. Orient the audience with an engaging hook. Use a mix of conversational and formal language. Incorporate detailed elements of the novella. Employ awareness of modern context and may even demonstrate research on reading practices. After proceeding through the previous learning sequences, students are encouraged to formulate and synthesise their own informed perspectives of the text and can demonstrate these through both compositional and responsive activities. They have analysed language and reflected on thematic concerns in an independent and collaborative manner. Throughout her narrative, Lohrey evokes the politics of ownership of land which has been a contentious issue in Australia. In this novella, we have the conflict between the squatters and the settlers, the sea-changers and the consortiums and the ever-present political undercurrent of the Indigenous vs the European perspective of land. Students are to research ONE other short text (short story or poem or play) and compare the concept of ownership. Students will compose their own short story in the style of a modern pastoral and which is based on the novella studied. Students will be encouraged to think critically about their own stylistic choices and narrative structure by using the SCAMPER technique. removing an event or conversation. They choose ONE scene from the text and adapt it into a short story version, e.g. What if there was no bushfire but another threat? Would the outcome be the same? What if Anna stayed in the city? well-written expression and consistent tense. Students work as a pair to compose and present an interview style podcast discussing whether Vertigo is a pastoral or anti-pastoral text. Additionally, they will explore whether Vertigo should be included in the Australian canon alongside the likes of Lawson or is it simply a good read? They make reference to and evaluate Lohrey’s question: If I wrote a bushfire story, what would have changed since Lawson’s time? Reflect an understanding of the conventions of the pastoral and anti-pastoral. Use evaluative and critical language when making judgements about the value of the text. Respond in an engaging interview style which shows reciprocal questioning and a logical response. Purdue Online Writing Lab: What is Eco-criticism ? Please note that AustLit is a rich resource for any study of Australian literature or Australian writers. To access this online resource, you need to do so via your school library or through your own personal membership of your state or Territory library service. Talk to your school or local librarian for more information. Purdue Online Writing Lab: What is Eco-criticism? Wafa Taoube is Head Teacher of English at Tempe High School in Sydney and has been teaching for eighteen years. She has written publications and units for ETA NSW and NESA (NSW Education and Standards Authority), and presented at ETA NSW and Department of Education and Training conferences. She ran HSC workshops for an inner west library and has written for Checkpoints HSC, Cambridge University Press.